« Some artists I’ve been enjoying. So that conversation happened. I went on Facebook later that week and sure enough, there’s pictures of him training his chicken. 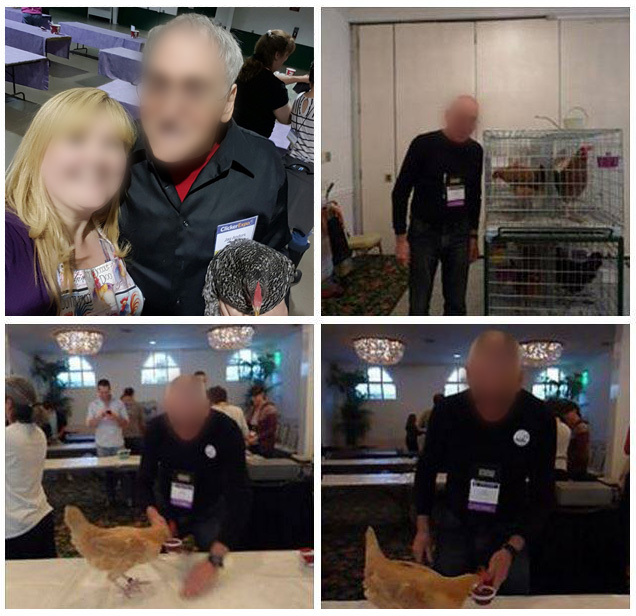 I didn’t ask his permission to use the images, therefore I blurred out the faces as a courtesy. Because I’m a nice person. The second thing was cookies! 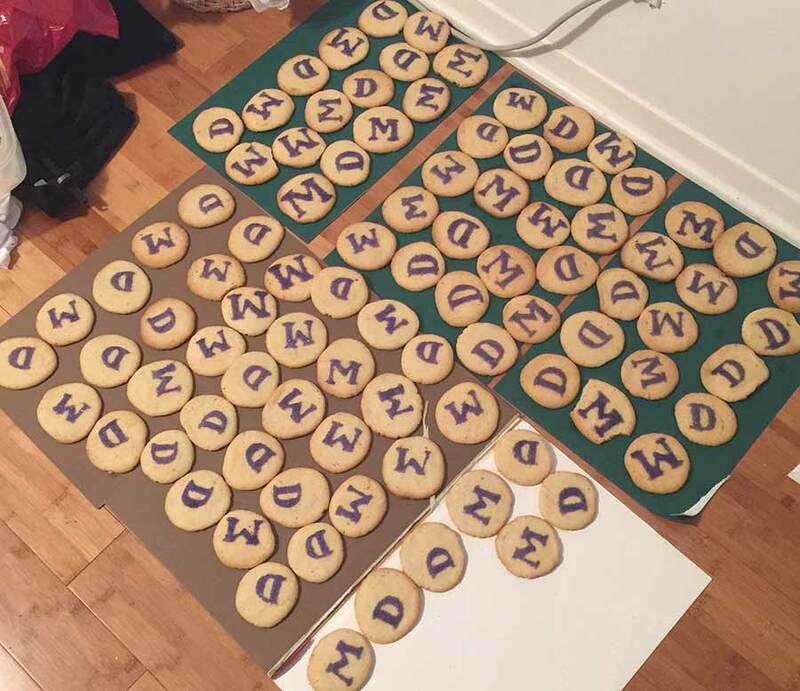 Specifically, I painted cookies. Cricket’s sister was getting married and she was asking various friends and family to contribute their skills and talents. 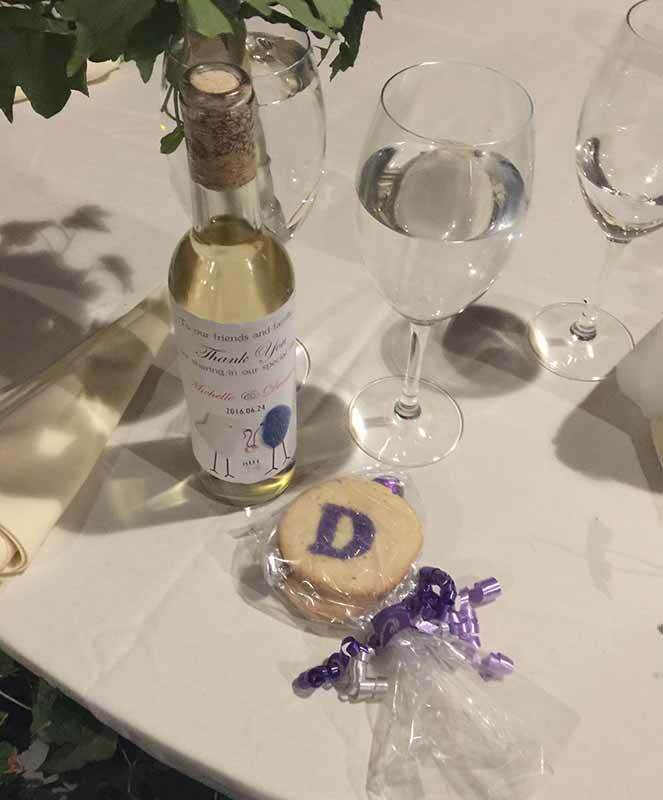 I figured I could paint the bride and groom’s initials on cookies and they could be given away as “thanks for coming” presents. 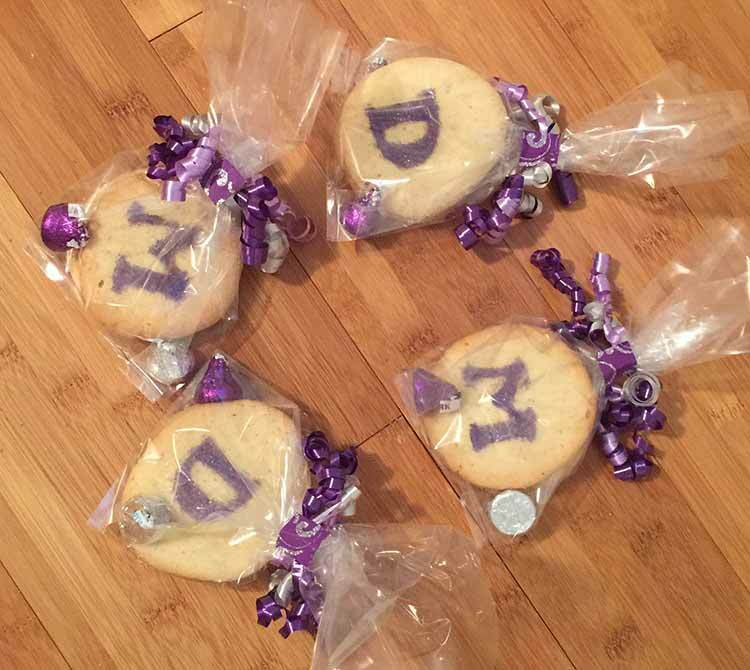 So I was given cookies (I don’t bake so good) and I set up my icing and purple sugar crystals and got to work. I officially hate the letter “M.” “D” was so much easier to paint. From now on I will only do this for people who’s names start with “I.” All you Iagos out there, you want cookies? Gimme a call. When the icing was dry I put them in bags with Hershey’s Kisses and tied them with pretty ribbon that I curled myself. There were 42 bags. I curled so much ribbon, guys. Like all the ribbon on earth. I got real good at it too. I am a ribbon-curling master. 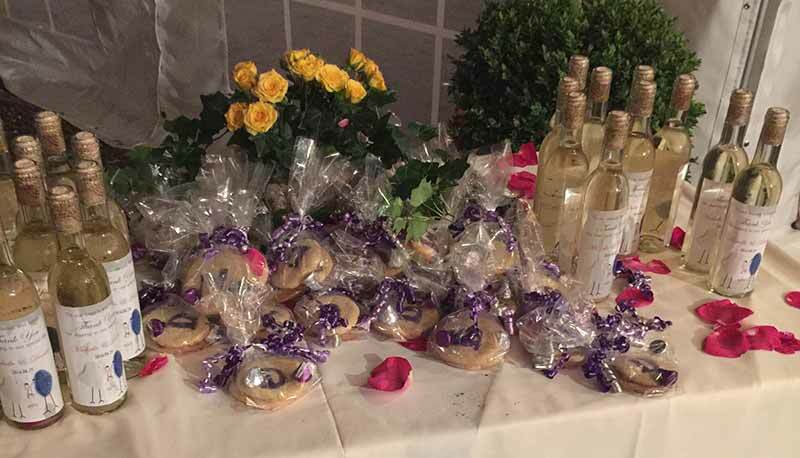 And as people were leaving they could get a bag of cookies and a bottle of wine the couple made themselves. It was a lovely parting gift. This entry was posted on Wednesday, June 29th, 2016 at 6:24 pm and is filed under Beastiesbeastiesbeasties, New York, Stuff. You can follow any responses to this entry through the RSS 2.0 feed. You can leave a response, or trackback from your own site.